A crash into a typical Amsterdam bollard inspired founder Frank Boers to start Amsterdam Republic. Since 2002, vodka and traditional Dutch drinks such as korenwijn and jonge jenever, in a typically Amsterdam packaging, have been in great demand both among tourists and local residents. So how do you introduce a new brand in such a difficult market? How do you reach your target group? And how do you keep your competitors from copying ideas like unique packaging? To introduce its name to the larger Amsterdam public, Amsterdam Republic sponsored many large events in the city, such as the Gay Pride and the Gouden Kabouter Awards (Golden Gnomes Awards). This boosted sales tremendously. 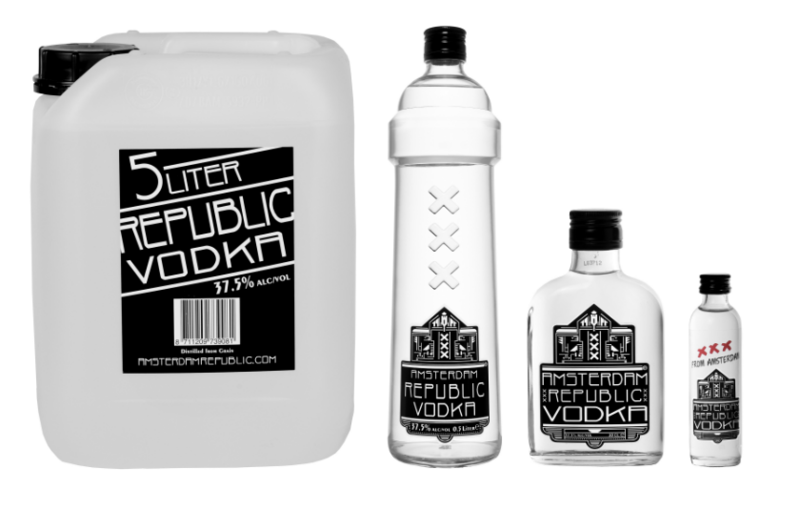 Amsterdam Republic Vodka in particular is very popular nowadays, and available in most Amsterdam pubs and clubs and at festivals. 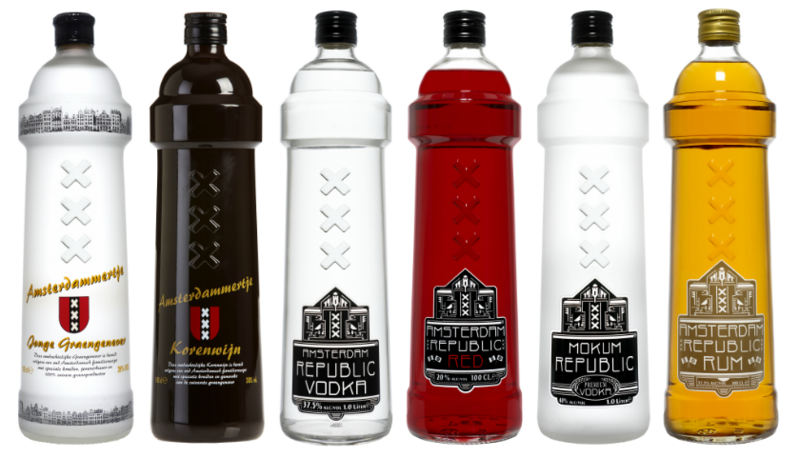 With its own web shop and off-licences, Amsterdam Republic has become part of Amsterdam’s heritage. Amsterdam Republic even has its own merchandise range, including phone covers, bags and dog bandanas! The most obvious characteristic is of course the name Amsterdam Republic and the transparent, glass bottle shaped like an Amsterdam bollard. How to protect it? Onel trademarks investigated the availability of the name and came up with a strategy, which is a combination of trademark protection of the name, the logo, the shape and the design. It has allowed Amsterdam Republic to acquire the exclusive rights to these eye-catchers and bring them to the attention of a huge audience.